When you owe back taxes to the IRS, the organization’s primary focus, beyond collection of the debt, is protection of the debt. Protection of the debt is when the IRS imposes and files a Federal Tax Lien against your property and assets. This is a legal claim against your Denver-area property, filed via public document known as a Notice of Federal Tax Lien. A lien is not the same as a levy, which allows the government to seize property to pay the tax debt. Instead, the lien secures your debt using your property, including real estate, personal property and financial assets, as collateral. A lien is public information and includes the full amount owed to the IRS. In most cases, a lien happens when you receive a Demand for Payment and fail to pay your debt—usually 10 days after the IRS issues the Demand for Payment. You will not be notified of your lien until after it has been filed. Liens are filed in the Colorado county in which you reside, and in other counties where you own property. If you neglect or refuse to pay your tax debt, tax liens can follow you around, damaging your credit and making it impossible to move forward in your financial life. The lien is used to alert creditors and finance companies that the IRS has a legal right to your property to the extent of the amount of tax you owe. Most people think a lien is just filed against your real estate property, but that is not, in fact, the case. A lien applies to real estate, personal property and your financial assets—those you own at the time the lien is filed and any property obtained during the lien period. If you currently own your home and are trying to sell it, your Federal Tax Lien will alert the title company that there are funds that are required to be paid to the IRS before you receive any funds at closing. If you are selling your home with plans to purchase another and you owe the IRS back taxes equal to or exceeding the equity you would receive, then you will not have the funds to buy a new home. If you are selling your home and the proceeds will not full pay your debt, the IRS will still collect their money first based on the lien. IRS liens can hinder your ability to obtain credit in the future as it not only shows up on your credit report but actually affects your credit score as well—sometimes by as much as 100 points. In some cases, the Federal Tax Lien will even survive the filing of a bankruptcy and show on your credit report for years after the bankruptcy has been discharged. The best way to remove a lien from your Denver-area property and assets is to pay your debt in full. If that’s not an option, you can satisfy your lien through a monthly payment plan or Offer in Compromise or by establishing a hardship to show you are unable to pay your debt. In addition, liens will usually expire after a period of 10 years, which is the statute of limitations for collecting a tax debt. After you have paid your taxes in full or satisfied your lien in another way, the lien can remain on your credit reports for up to seven years—affecting your credit despite the resolution. You can request a letter from the IRS that shows you have paid the lien in full, which you can then send to credit agencies to show the lien has been released. True Resolve is ready to help. It’s never wise to avoid a tax issue. And you don’t need a tax attorney to help you resolve them. Contact the qualified tax advisors at True Resolve for help in satisfying your lien. 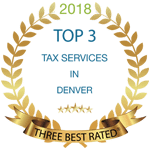 Our Denver-based Enrolled Agents have the expertise and experience to work with the IRS on your behalf.